REUNION | Halloween Fundraising Party!!! 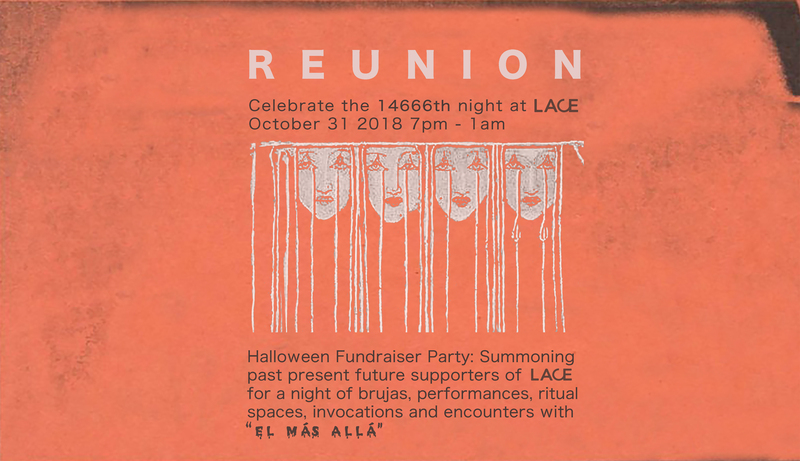 Halloween Fundraising Party: Summoning past present future supporters of LACE for a night of brujas, performances, ritual spaces, invocations and encounters with “el más allá”. Special projection of photo documentation of the “GRONKPATTSIPARTY” Halloween Party at LACE back in 1978 by Louis Jacinto!! !